The Vegas Downtown Slots Daily News Extra, Extra, Read All About It! 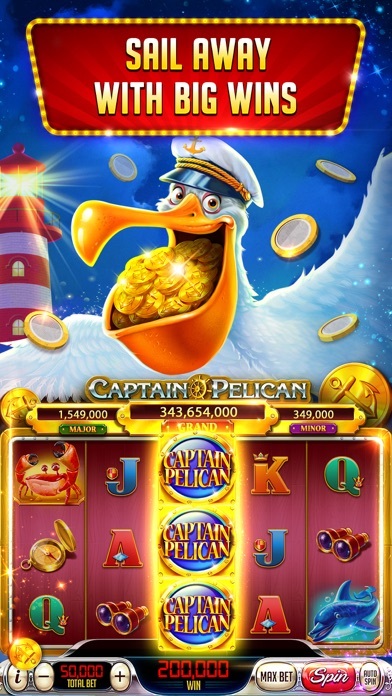 Playtika, the creators of Slotomania Slots and Caesars Casino – the leading 777 slot machines and casino apps in the WORLD, deliver an innovative Vegas Slots and word games experience! 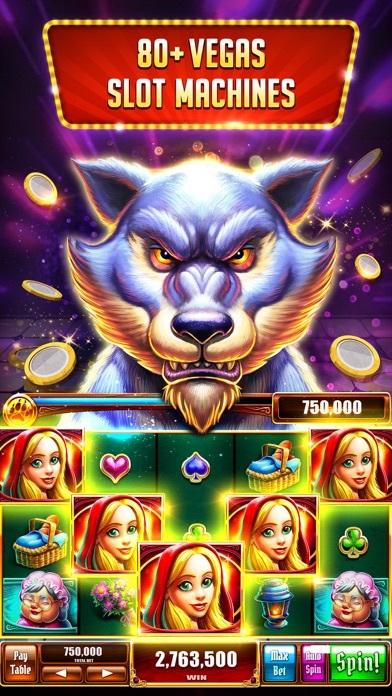 Vegas Downtown Slots Casino combines fast-paced slots action with a word game craze! Shocking casino prizes are driving people WILD on the Las Vegas Strip. Read the latest gossip below! Huge Prizes Shock VIP Slots Players It’s taking the Vegas Strip by storm! Spin back in time for some classic slots fun at Vegas Downtown Slots FREE. Grab your daily slots bonus and hit new casino games straight from the heart of Vegas, including Bally, Harrah’s Casino, Flamingo & more! 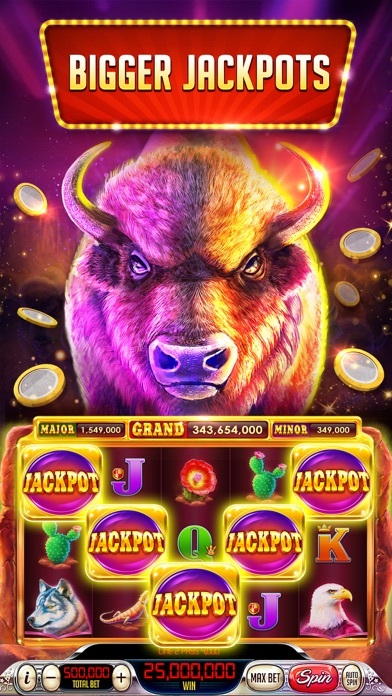 Play 777 slot machines and free slots tournaments. Enjoy the combination of fast-paced Vegas casino slots FREE, collect word tiles, and solve word games to win HUGE prizes - VIVA Las Vegas! Las Vegas Casinos now issuing exclusive Vegas Downtown CARDS! This just in! As you play all the Vegas slot casino games for free in the Vegas Downtown casino, collect exclusive classic Vegas CARDS! 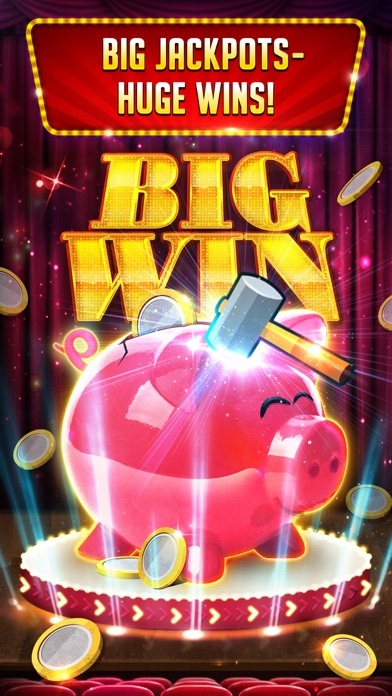 Complete albums for huge casino bonuses, epic prizes, and free slots coins! Despicable Wolf Spotted on the Strip Watch out! The characters from our Vegas slots app have been spotted at the Vegas casinos, handing out enormous prizes! Visit Bally’s Las Vegas, Rio, Horseshoe, Planet Hollywood, Flamingo Casino and Harrah’s Casino for coin bonus bonanzas! 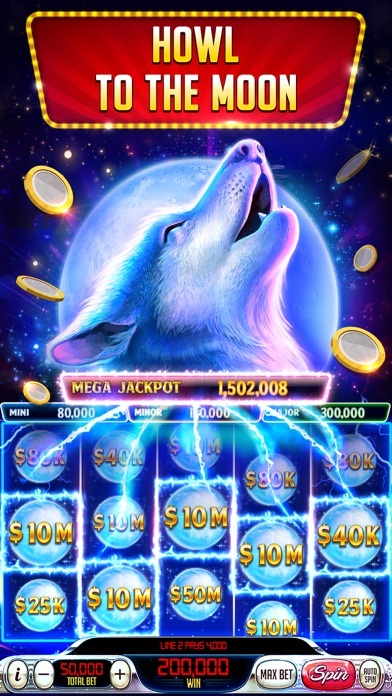 •	Enjoy classic 777 slot machines like the Fantastic Fives casino game •	Enjoy sweet wins in Triple Sweets slots FREE, straight from Vegas casinos •	Watch out for the Despicable Wolf in this Vegas fan favorite slot game •	Every spin on our best video games and video slots will excite you with huge coin multipliers, free bonus casino games and progressive jackpots! Word Games Spark Pandemonium in Vegas! People on the Vegas Strip are going wild for word games! As you spin the games in our Vegas slots app, you’ll collect word tiles for a scrabble-like game with a ‘Viva Las Vegas' twist. 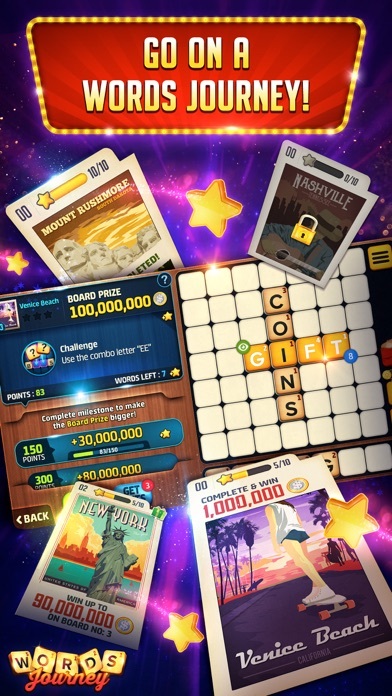 Solve word games and create classic words with your tiles to win amazing rewards like free coins and free spins on any 777 slot machines. Play our fast-paced slots free, fill your word board and hit the jackpot! It’s a world-renowned Vegas casino experience you don’t want to miss! Downtown Vegas Heist: Super Double Jewels Missing True or rumour? Use Vegas Downtown Slots’ incredible features to solve the mystery! ► Find your favorite downtown Vegas classic slots ► 24/7 Fast-paced slots tournaments ► Riveting video slots and classic slots – just like on the Las Vegas strip ► New slot machines releases every 2 weeks from Vegas casinos including Bally, Harrah’s & more! ► Vegas Downtown Slots & Words is part of the Playtika Rewards for VIP members ► Daily promotions, offers and fun gifts. 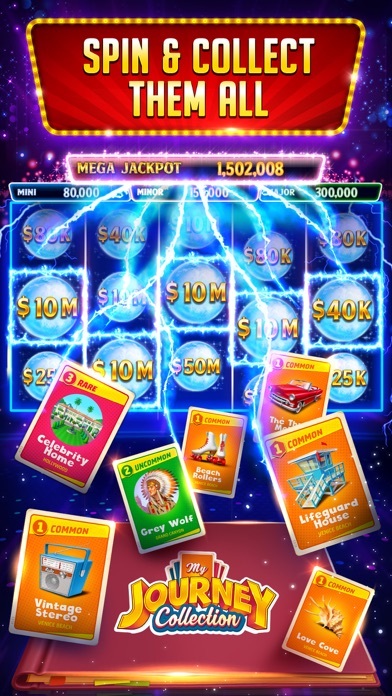 Feel the excitement of top video slots games! Hit Some Retro Vegas Style Wins Today Just as the famous Vegas casino saying goes, “If you see it once, you’ll never be the same again”. Playing Vegas Downtown Slots and Words is like being at the classic Vegas casino hotels during their glory days, like Caesars Slots or the Flamingo, but with a new word game addition to boost the thrills! 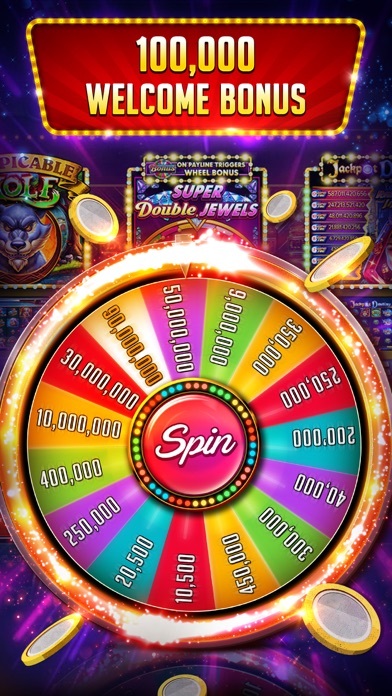 Tap open this Vegas Slots free app, take your daily bonus and spin some big wins on the best video games on this side of Nevada. 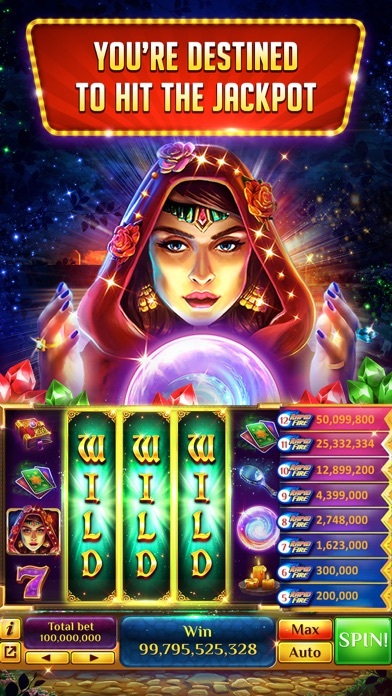 LEGAL This game is intended for an adult audience (21+) for amusement purposes only and does not offer ‘real money’ gambling, or an opportunity to win real money or prizes based on game play. Playing or success in this game does not imply future success at ‘real money’ gambling. I play this game until all hours of the night sometimes all night. 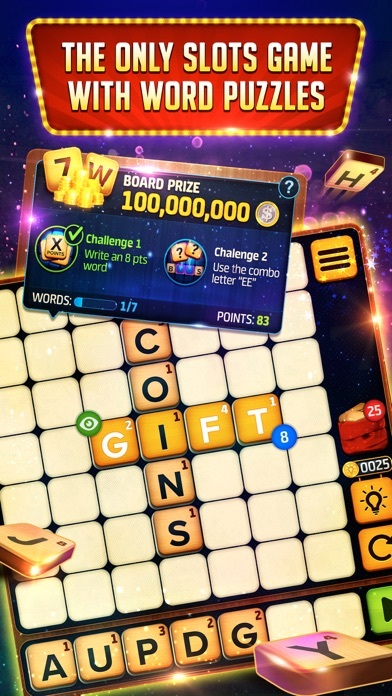 I like the combination of the slots and Word challenges to score additional points. It’s a two-level spin to achieve wins - very entertaining. My very favorite slots game! Really like the different types of games offered and to play with tiles also is a major bonus. On the flip side, you really don’t win a whole lot, and then to get offered app packages at a larger scale, I don’t really like. I am not big on paying for games especially if you seem to loose more than win. If I can play for a good while on your dime, I WILL have no problems coughing up a few dollars to stay at your casino. New version has fewer wins, more expensive tokens. Constantly getting 3 and 4 pop ups at a time even after purchase of tokens. Quick Click offs prompt false purchase requests. Very deceiving and misleading.